Children of poverty and abuse deal with so many physical and mental problems and I thought it was important to include those struggles in my book. Poverty, drugs, prostitution, and race are four things that have lingered around our world for a long period of time. Why are individuals ceasing to not bring up solutions or even discuss the turmoil that is haunting our nation? How are these issues truly affecting our nation? New author, Meg Duly, currently works full-time as a social worker and often deals with the aftermath of drug abuse, child neglect, and poverty. Due to consistently seeing the hardships that many of her clients go through, she was inspired to write a book from her experience. Throughout Meg Duly’s “The Other Side of the Song,” important themes such as poverty, abuse, and neglect are weaved into the love song of her two main characters that are struggling with overcoming the challenges of their new and strange love. Duly’s love story is one of fame meeting misfortune and captures the struggles of real world events and examples. For more information, visit http://www.theothersideofthesong.com. Meg Duly lives in Lilburn, Georgia, with her husband. Duly has a degree from the University of Georgia and is one of two behavioral health counselors at the local Stone Mountain pediatric office. Duly enjoys helping underprivileged families and children and creating better and safer environments for them. 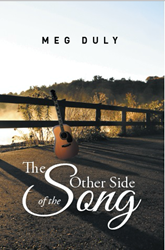 “The Other Side of the Song” is Meg Duly’s third book.